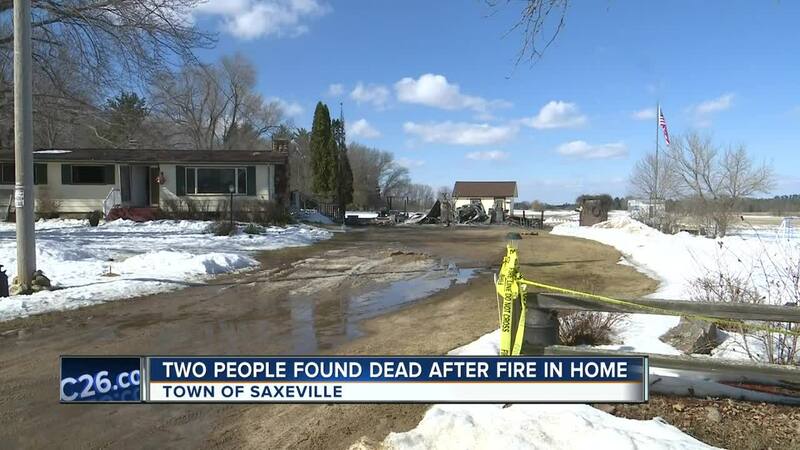 TOWN OF SAXEVILLE, Wis. — Two people were found dead after a house fire in the Town of Saxeville, according to the Waushara County Sheriff’s Office. Around 3 a.m. Sunday, the Waushara County Sheriff’s Office received a 911 call reporting a structure fire at a residence in the Township of Saxeville. Investigators found two people dead in the home. The cause of death is unknown and is being investigated by the Waushara County Medical Examiner’s Office. Names are being withheld until the family has been notified.